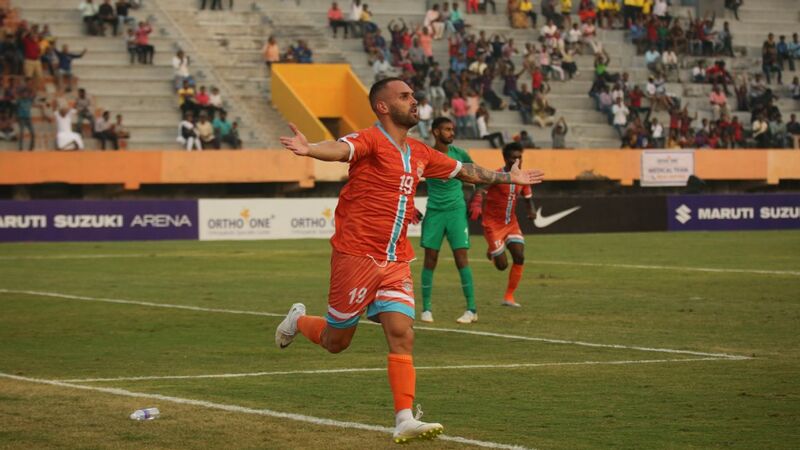 Ever since it began three seasons ago as a month-long 'festival of football', the Indian Super League has steadily eaten into the relevance previously enjoyed by the I-League - for long the undisputed top league in India. This year the ISL secured the right to be held as a 'proper' league over four months. With it - it won over most of the country's best Indian footballers and poached an I-League club as well. And while the I-League was thrown a bone by being telecast on Star Sports, the juiciest dates and TV slots dates were kept by the ISL. The shift seemed complete in the discomfiture showed by AIFF general secretary Kushal Das a couple of days ago at the official launch ceremony of the I-League. When asked a straightforward question -- "Is the I-League still India's premiere football league?" -- Das couldn't commit to a 'yes' and his platitude sounded a lot more like a 'no'. "The I-League winner will get a quota for the AFC Champions League," Das said. "Right now there is much more money in the ISL. But the legacy of Indian football is in the I-League. So we have to marry the two. We haven't found the right solution yet," he added. The I-League - which kicks off on Saturday with a match between Mohun Bagan and Minerva FC -- has little option but making its peace with playing in the shadow of the bigger, richer league. The disruption caused by two leagues running simultaneously is visible in team rosters. Players who until last year would play on loan in the ISL are now playing full time for the same franchise. Mohun Bagan saw 19 departures from their squad, of whom 14 left for ISL clubs. For East Bengal that number was 22 and 15 respectively. After leading Aizawl to the title last season, Khalid Jamil has now moved to East Bengal. The situation is worse for smaller clubs. Aizawl are nearly unrecognizable from the side that made a fairy tale title run last season. While coach Khalid Jamil has left for East Bengal, nine regular starters from last year have moved on. "It is true that six or seven key players have left the club. We have a mix of a lot of new players. A lot will depend on how our local Mizo players will come up. We will have to fight for every game," says new coach Paulo Jorge Coelho. While Aizawl have pinned their hopes on local players, some teams have tried to compensate for the drain of talent by importing foreign players. As per rules brought in this year, teams can play up to five foreigners - the same number as in the ISL. While the ruling was decried as coming in the way of local talent, Bino George, coach of I-League debutants Gukulam FC felt this was necessary decision. "I also want to play more youngsters. But I also want my club to survive. This season, all the best players in Indian football are playing in the ISL. The remaining good players are playing in the bigger clubs who can pay them the money. The remaining players are equal. So whichever foreigners are better will decide the matches," he says. Even importing talent can only paper the cracks. The exodus of players means old partnerships will have to be relearned. While Bagan were able to keep their star foreign player Sony Norde, they lost his partner Katsumi Yusa to city rivals East Bengal. "The reason we have done well is because of Katsumi. I have played three years with him. I know him and he knows me. So I know where my pass is going to come from. When I came to my first practice session this year on September 25, everybody was new, except Shilton (Paul) and Kingshuk Debnath. I have only been training for three weeks with the new players. In three weeks we cannot know each other. It will take time to understand each other," Norde says. The learning curve will be steeper considering this edition of the I-League is likely to be its youngest ever. "Eleven of our players will be below the age of 20," says Minerva FC owner Ranjit Bajaj. All of the Indian Arrows - the development squad featuring a mixture of players from the Indian U-17 and U-19 programmes - will be below that age limit. 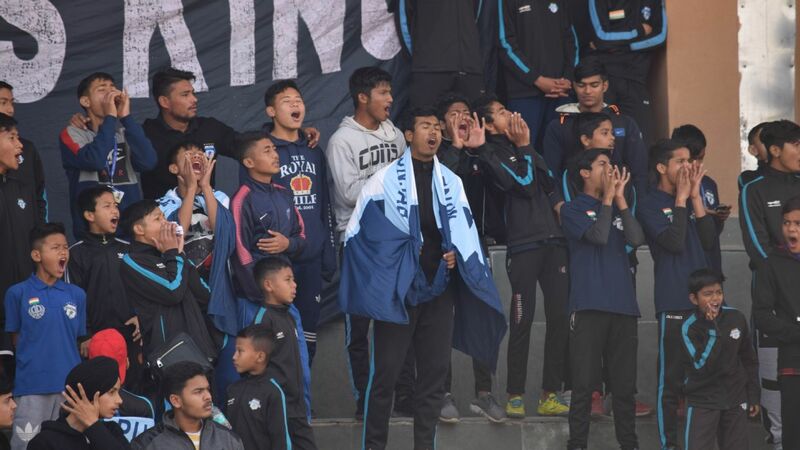 "It is a big challenge for us," says Jeakson Singh, who scored a historic first World Cup goal for the Indian team at the U-17 World Cup last month. Helming the Indian Arrows will be Luis Norton de Matos, who admits his side are not expecting to challenge for the title. "It will be a learning experience. It will help prepare the boys for the AFC U-19 Championships," he says. That though isn't a luxury for Mohun Bagan coach Sanjoy Sen. "This is almost a new team. But that is not an excuse," he says. "It might be easier for a smaller club to deal with a less experienced team but at Mohun Bagan the pressure will always be to win. It is a challenge for a coach to get the confidence of young players, who need to cope up with the pressure of playing for Bagan. And if you don't live up to that expectation you will be fired," he says. "I have had challenging seasons before, but this season there is more uncertainty and pressure," he admits. For the majority of players, the I-League remains a great chance to be noticed. "Kerala still does very well at the Santosh Trophy and the inter-university level (Kerala's Calicut University won the inter-university tournament this year). But the fact that there was no club from Kerala in the I-League meant that a lot of players didn't have options. 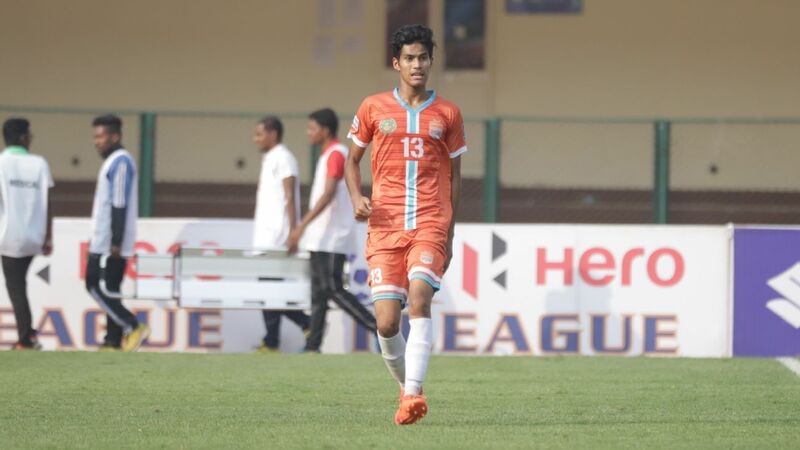 We need this to create a good base for our young boys," says Gokulam FC captain Sushant Matthew. 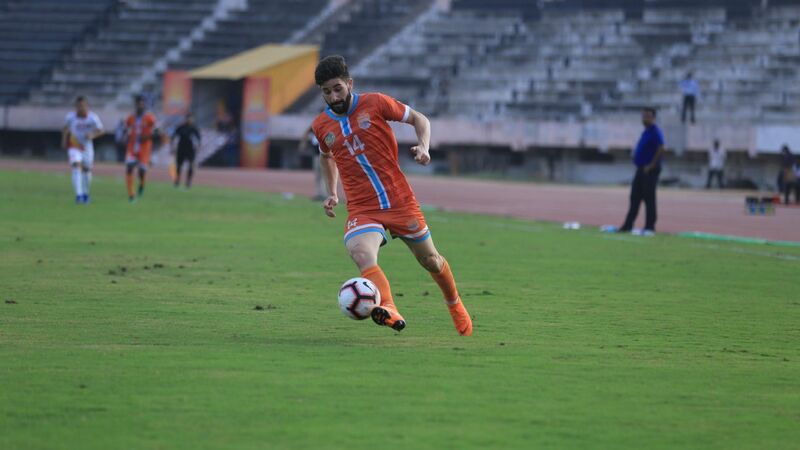 "We know that only players who play in the I-League can play in the ISL. So even if you want to play in the ISL you have to go through the I-League," he adds. Bhutanese striker Chencho Gyeltshen will play for Minerva this season. Minerva FC owner Ranjit Bajaj concurs. He signed Bhutanese striker Chencho Gyeltshen for a reduced amount after convincing him that a good performance in the I-League could see him picked by an ISL club. For most players in the I-League, the ISL remains the ultimate prize. "The level is higher in the ISL but it is easier to play there than in the I-League," says Bagan's Norde. "Here I am the main player so all the responsibility comes to me. In the ISL I am not worried about who is passing to me. My only job is to score," he says. Norde says he had a chance to move too. "I had offers from five ISL clubs but I stuck with Bagan because they told me that they would also move to the ISL next season." Norde says he also stayed for personal reasons. "They brought me to India and made me who I am," he says. But sentimentality will only count for so much. "Next year if Bagan still don't go to the ISL, I will change clubs," he said.